Mt. 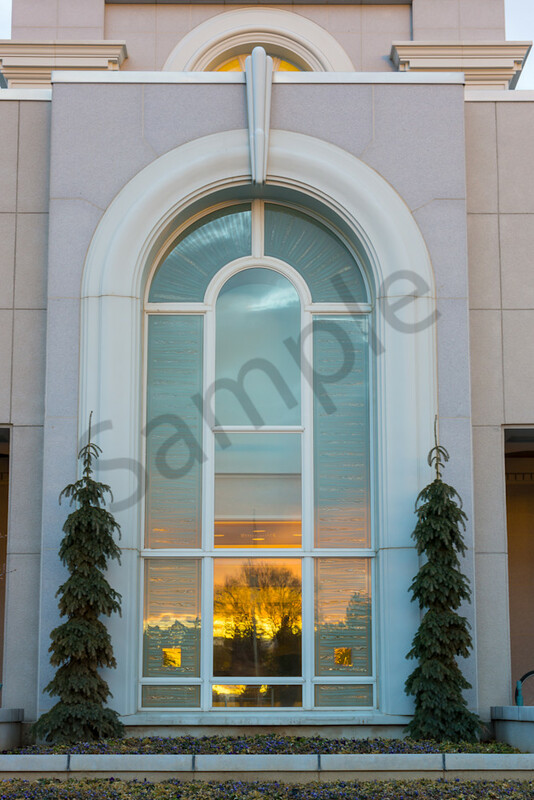 Timpanogos Utah Temple window photograph. Sunset reflection in the window. Beautiful Temple window art.